Great cafe for working. Good amount of seating inside but it can fill up. Patio out back. Get a coffee and a bagel or a matcha latte and an avocado toast depending on how much you want to spend. 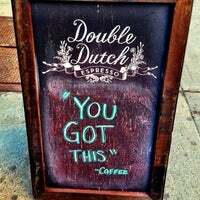 From the people who brought you Lenox coffee, Double Dutch is a cute adorable place with a great vibe. Much needed addition to the neighborhood! 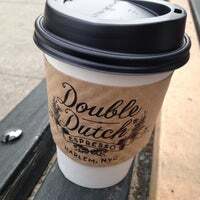 Co-owned by Lenox Coffee & The Chipped Cup, 2 other Harlem spots, Double Dutch leans more toward the latter, both in terms of espresso quality and design touches. An instant neighborhood hit. 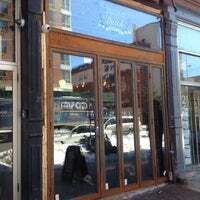 Nice coffee shop with a large selection, next door to a bar and right in the heart of the new happening Harlem. Nice place to work from or just read a book. Does get busy so not best option for commimg in bigger group. Counter culture solid espresso, free wifi, and copious seats in a cool vibe coffee shop. Chai latte is good here. 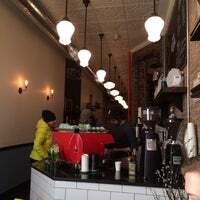 Very cute cafe in Harlem, will have to come back to try a cappuccino! Free wifi, very nice service and good coffee! Was there on holiday but loads of people working, so great place to work/study it seems! 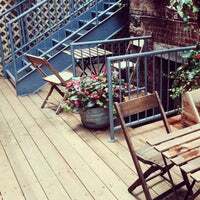 Cool outdoor patio garden to do laptop work or just have a beverage and socialize. Has 2 rocking chairs out there in the midst of it all, which is pretty cool. Great cappuccinos and everything bagels, which are better toasted and with butter. As close to a proper Seattle coffee shop as I’ve yet seen on the east coast. A must-visit for anybody who even remotely likes tea or coffee. Wish I could've tried their coffee or pastries, but they let people without food/bev occupy all the seats on today's visit. Why buy and stand when I wanted to stay? Across to Starbucks it is. 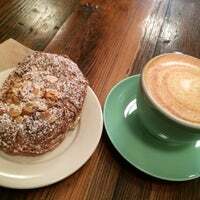 Friendly staff, tasty treats, wi-fi, and good coffee? Can't really go wrong. The patio is also a great plus! 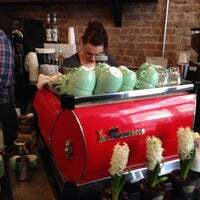 You won't find a better espresso spot in Central Harlem. Skip the Starbucks across the street. Great Harlem coffee shop with a good vibe, awesome staff, free wifi, a places to sit. Kind of hipster, they sell Grumpy's Coffee and it's a great place to come to work with your computer. a variety of seats, also with backyard seatings. the interior is cute. 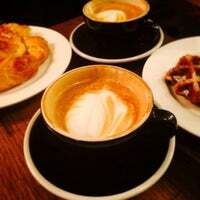 cafe au lait is just ok, cappuccino is quite good. 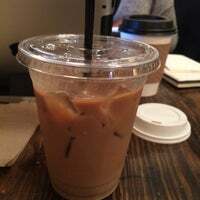 Iced coffee is solid; wifi and vibe is even better. Back patio is fantastic!! Nice little spot for a great cup of coffee; the scones look amazing! Great counter culture espresso drinks and sweet patio in the back. 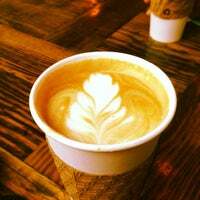 Delicious Counter Culture coffee, plus fast wifi and plenty of seating. 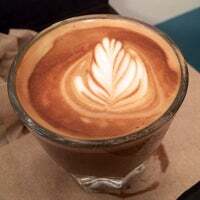 Awesome cappuccino! Perfectly prepared, fresh pastries everyday! 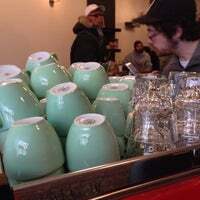 Counter Culture coffee, Colson Patisserie pastries, and Doughnut Plant donuts. Patio on warm days. Tight, terrible layout inside. If you order an Americano, ask for only half a cup of water, or add an extra shot. Otherwise it's very watery. I guess the same goes for a latte. The cups are too big. Great atmosphere with private outdoor patio. 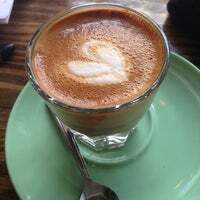 Cappuccino is ok but a little mild/weak. nice working environment near harlem. however, the music choices are sometimes weird... i got cafe au lait, not bad! Love this place! Coffee is excellent. Highly recommend it. Location is nice as it's the vibe. But breakfast was a let down. Cappuccino was watery and without foam. Pastry was chewy. 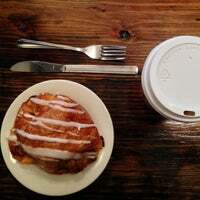 The rosemary scone was ok.
Great place to get a drink and get work done. same menu as lenox coffee. railroad layout not as claustrophobic. Classic Motown soundtrack with good wifi. Solid. Avocado bagel is delicious ! Get an iced dirty chai latte. You're welcome. Great outdoor patio in the back. "Relaxed coffee shop in Harlem. 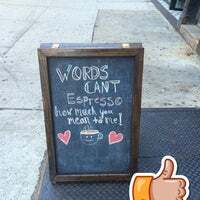 Chai tea is nice, banana bread really good :)"
"Awesome Staff and a very chill environment. Also, Elisa is super cute." "The croissants are great. And instead of almond milk - try soy or coconut or... (they have lots of options!!)" "Best bakery in NYC! Cookies are all amazing. Dark chocolate chocolate chip is my favorite! Blueberry muffin is also to die for!" "Literally the best yet! They ran out of the salmon that was on sale so I picked up the stuffed one and a salmon and feta burger... the best decision I've made all day!" "Scenic. Beautiful. Clean. Great for running or working out."